2nd installation of a low frequency Callisto at Birr castle, Ireland. Instrument will be operated by Trinity College Dublin. 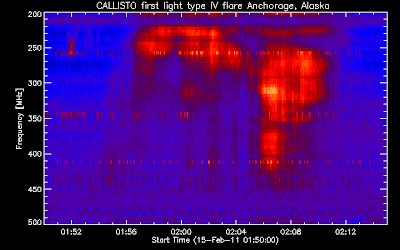 We already got 1st light on February 27th 2011, it is a type III flare going down to about 30 MHz. Data access here: Rosseobservatory. Below a video (9.34MB) about positioning the logarithmic-periodic antenna to the sun. 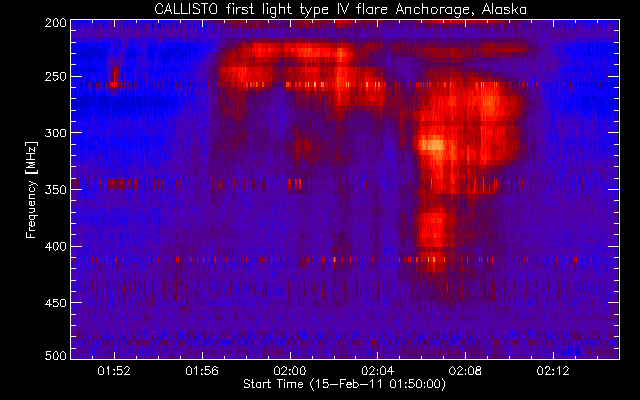 Top: First light in Alaska on Feb. 15th 2011 at ~02:00UT. System was built, tested and will be operated by W. Reeve Anchorage. FIT-files are automatically transferred to a shared FTP-server. Middle: Logarithmic-periodic antenna on the roof, tracking the sun. Bottom: Control-PC and Callisto (right on the table). 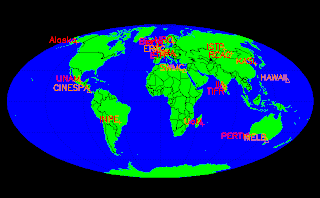 Link to an article in Nature about e-Callisto network of Feb. 17th, 2011. Link to an interview in Swiss news SFDRS of Feb. 18th 2011.